Oh, Boiling Crab... my former college roomie loved you so I knew of your existence for the past 3+ years, but I never ventured through your doors. Horror stories of people waiting for 2 hours to be seated and always seeing a crowd outside was enough to keep me away. The friends who did wait those 2 hours had a sense disdain saying you were good, but not worth the wait. So how did I end up coming to Boiling Crab? My former roomie wanted to go! She told us that if we went right when they opened for lunch, the wait wasn't as bad. So that's exactly what we did... and we were seated right away! Hallelujah! I ordered a half pound of shrimp Mild with "The Whole Shebang" (a mix of Rajun Cajun, Lemon Pepper, and Garlic Butter). The half pound order came with 10 shrimp, which was the perfect amount for me. Let me just say... I absolutely loved the sauce marinade! It was even better with a squeeze of fresh lime! Super flavorful! I normally love spicy food, but I found Mild had just the right amount of spice for me. One of my friends ordered his shrimp Medium and although I found it really good and spicy, I don't think I could have finished a bag of Medium spicy shrimp - the spice would've overwhelmed me! My roomie ordered a pound of crawfish (also Mild with "The Whole Shebang") and let me try a few. She taught us how to open these little mudbugs to get the tail meat out. Although they were really tasty, I thought they were more work than they were worth for such a small bite. I thoroughly enjoyed the food at Boiling Crab, especially my shrimp! I thought it was on par with the Garlic Shrimp Scampi from Giovanni's Shrimp Truck on the North Shore, which was some of the best shrimp I've ever had! Boiling Crab is easily one of my favorite shrimp places on the mainland! Although I thought Boiling Crab was really good, I still wouldn't wait 2 hours for it. (There are really very few things I'd actually be willing to wait 2 hours for.) But I would be okay with maybe a 20-30 minute wait. Hello Kitty and Yogurtland (two of my favorite things!) have joined forces in a superultraomegakawaii collaboration! For a limited time, Yogurtland will feature special Sanrio cups and limited edition spoons! I loved how Yogurtland had decorations showing each character's favorite flavor. Hello Kitty loves Fresh Strawberry frozen yogurt with strawberries. I am no ramen connoisseur, but I have had my fair share of sampling different ramen places. 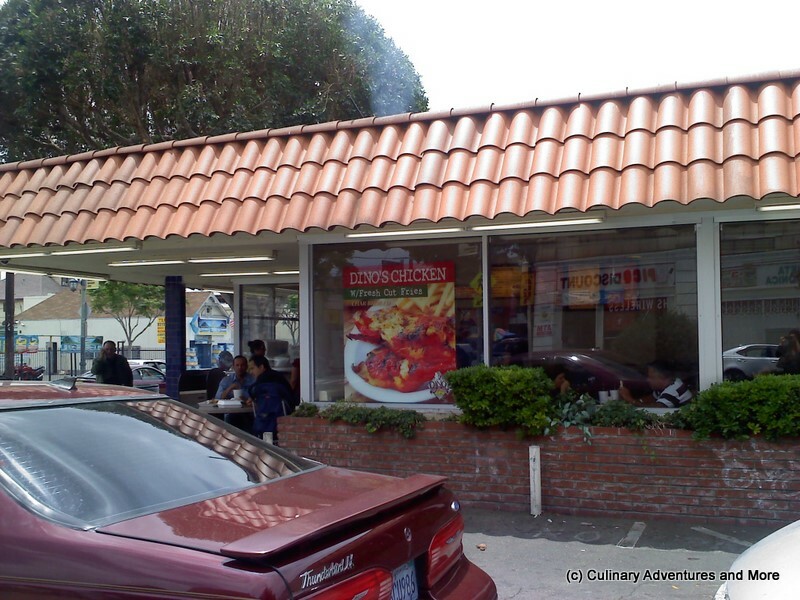 I remember my first time going to the Daikokuya in Little Tokyo a few years back. At the time, I didn't know Daikokuya was one of the more well-known ramen shops in the LA area. A group of friends and I had been shopping in Little Tokyo and just stumbled across Daikokuya right before the big dinner rush - only waiting about 10 minutes to be seated. (That in and of itself is a miracle because I've heard horror stories of people waiting 45 minutes to an hour for this place!) It seemed like a quaint little place with its retro decor, but about 15 minutes after we sat down and ordered, a crowd formed and people were waiting out the door! Ahh... the unquestionable sign that a place is good - or at least, really popular with people... or maybe the place is just too small to accommodate a large number of patrons. But I digress! I remember that hot bowl of ramen and rich tonkotsu broth warming me up on that chilly (for SoCal) night. It just hit the spot! Fast forward to today and Daikokuya has expanded to locations in Monterey Park and Arcadia. Arcadia's Daikokuya actually just opened at the end of June so I was really excited to try it out with some friends. Interestingly, it's located in a food court, which got me worried about the possible crowd, but at least on a Thursday night, there was nothing to worry about. The large display menu only showed the large and small Daikokuya ramen (the only type they have) and different rice bowls. My friend ordered the small (half) ramen, while I got the large one. Right as I handed over my money, my other friend discovered there were combos listed on the small menu next to the cashier! As I was cursing my luck at failing to notice this black and white paper and erroneously assuming it was the exact same menu on display, the cashier simply asked if I wanted to change my order. "Wait! I can do that??" (The exact words that came out of my mouth!) She said, "Sure!" and proceeded to return my money and cancel my order. Wow! They really care about making their customers happy! I ended up ordering the Half Ramen + Half Chicken and Egg Rice Bowl Combo, which also came with a small side salad. In case you are wondering what that whitish stuff on the bottom left is, there was a sign that said you could make your ramen "Kotteri Style," which has pork back fat that's supposed to make your broth richer. I wasn't sure if I wanted to add back fat to my ramen so I asked if I could have it on the side and the girl graciously obliged. Ah... such friendly and accommodating customer service! What an oddly-shaped egg! My friends and I tried to figure out how it got that way since the yolk was deformed too, but it continues to baffle us. (If you have any idea, please feel free to share!) Not only was the shape a little off-putting, but I was disappointed it wasn't the runny egg that I so often see and enjoy with ramen. The cha-siu meat wasn't all that memorable, but the noodles themselves started out at the firmness I like, but ended up getting soggy toward the end as I rotated between eating the ramen, rice bowl, and salad. The chicken and egg rice bowl (also known as "oyakodon" in Japanese) had too much sauce and was a bit watery so it was like eating rice with soup. I wish the onions had been cooked longer, but the egg and chicken seemed overcooked. The overall flavor reminded me of Yoshinoya - a place I'm not that fond of. I've made oyakodon at home before using Cooking with Dog's recipe and found that I much prefer the home-cooked version. As for the side salad, it tasted like an Asian-inspired coleslaw with a creamy, but slightly sweet dressing. I tend to like salads served at Japanese places so I thought it was a nice taste contrast between it and the hot, savory ramen and chicken and egg rice bowl. Considering it's summer, I don't know if I'll be back to Daikokuya any time soon. I've seen pictures of Daikokuya's ramen coming with a runny, soft-boiled egg so I'm really hoping my egg was a fluke and that on a future visit, I can get the half-cooked eggy goodness I so desire. (Actually, my egg had better be a fluke! It was soooo deformed! >.<) I still want to try some of the other rice bowls, but I honestly prefer the ramen at Santouka and Shinsengumi over what I had at Daikokuya Arcadia. Perhaps when winter (or however close SoCal can get to an actual winter) rolls around, I'll give them another try. OC Fair 2011 - Let's Eat! Oh, the fair... where gluttony meets fried with a dash of overpriced. mMm... This was my first time ever going to the OC Fair (I've always gone to the LA County Fair) and fittingly enough, their slogan this year was "Let's Eat!" Okay, don't mind if I do! But boy! There were so many choices! Deep fried butter... chocolate-covered bacon and corn dogs... Baby Ruth-stuffed fried jalapenos... Nothing appealed to me here, but around the corner was Chicken Charlie, who's famous for frying up some of the wildest fair foods! Continue Reading » OC Fair 2011 - Let's Eat! Five Guys was another one of those popular burger places that I kept hearing about so on our way home from AM^2 Con, my friends and I decided to stop by Five Guys for dinner. FREE PEANUTS: One thing Five Guys is known for is offering free peanuts for customers to scoop and eat while waiting for their food, which is made fresh to order. Although these weren't the best peanuts and their quality was a bit on the low end, they were a tasty way to occupy our time. They even proved to be a source of entertainment once we found out one of my friends didn't know how to eat peanuts in shell! We got a good laugh trying to teach him how to crack them open. Poor guy! LITTLE CHEESEBURGER W/ EVERYTHING ("ALL THE WAY"): The regular cheeseburger is actually a double cheeseburger so I opted for the "Little Cheeseburger" which only had one patty. All toppings are free so you can customize your burger in whatever way you want, but I got it with "Everything" (aka "All the Way"), which included mayo, lettuce, pickles, tomatoes, grilled onions, grilled mushrooms, ketchup, and mustard. You also have the option of adding regular onions, jalapenos, green peppers, A1 sauce, BBQ sauce, and hot sauce. I really enjoyed my burger. I found it flavorful and juicy and really liked the combo of "everything." Compared to my last burger adventure, I prefer this burger over the burger I had at Fuddruckers. CAJUN FRIES: I also prefer Five Guy's Cajun fries over the fries we had at Fuddruckers. Five Guys makes their fries using fresh potatoes, which is always a good thing, but they weren't the best fries I've ever had. They lacked the crisp texture I'm used to, but I still thought they were okay. The fries pictured were actually the small order, but it was enough to feed the 5 of us there. AM^2 Con is what I fondly refer to as "the other Anime Expo." Only in their 2nd year, AM^2 (which stands for Animation, Manga, and Movies) is like Anime Expo only on a smaller, more basic scale. Oh, and it's FREE! Yup! Free admission, free concerts, free anime screenings... FREE! I first heard about AM^2 from my brother, who told me the original coordinators of Anime Expo didn't like how AX was diverting its focus from anime/manga and focusing more towards making a profit. Supposedly, they broke away from AX and started their own convention - AM^2. Nearly everything at AM^2 is free, but if you want to be first in line for concerts or movie screenings, you can purchase a VIP pass. (You also have to buy a ticket to enter the AniMaid Cafe and there's a fee to play the games in the Summer Festival area.) Personally, I love this system so much more than Anime Expo's - no high cost of admission, no overcharging error, no endless badge pick-up line... it all sounded great to me! After telling my friends about AM^2, we decided to go on Sunday - the day after I attended Anime Expo. (Read about my AX experience here.) Because of costs, several of my friends opted out of attending AX this year, but they couldn't argue with free! The entire AM^2 Con took up only half a hall plus a few rooms upstairs for movies, anime screenings, contests, and the AniMaid Cafe. Unfortunately, they ran out of printed programs, but we just took a picture of the large display one at the info booth and used that as our guide. In the main hall, one corner was dedicated to vendors who sold plushies, manga, anime, and other merchandise. Although I was not able to purchase my giant Pokeball plushie at Anime Expo, I did find a smaller version for $5 here. Shan the Candy Man, who was demo-ing how to make candy sculptures. Check out the Pikachu candy sculpture he made! Not an exact replica, but pretty neat considering he molded it by hand! And here are the other candy sculptures he made! These were offered as one-of-a-kind prizes. Apparently, they were so popular, there was a waitlist for these prizes! Behind the Summer Festival area, there was a stage, which showcased various bands, singers, and traditional Japanese dancers. Behind the stage and out the back door, there was a small group of food trucks serving tasty treats. My friend and I decided to try the Waffle de Liege truck. We ordered the original Liege waffle with Speculoo spread. For those who don't know, the Liege waffle is from Belgium, but differs greatly from the Belgian waffle we're usually familiar with. Unlike the lighter Belgian waffle, the Liege waffle is dense and doughy. It's leavened with yeast and has a more bread-like texture with chewy bits of caramelized sugar (from the Belgian pearl sugar). Speculoos are a type of crunchy spice cookie that's similar to gingerbread so the Speculoo spread essentially tasted like gingerbread but with a peanut butter-like consistency. I don't know how authentic this Liege waffle is because I have nothing to compare it to, but I thought it was a nice change of texture and flavor from our regular pancake house waffles. After we ate, my friends went to play some video games in the video game corner across from the shopping area. These games were also free to play and had everything from some original Nintendo game I had never seen (with an actual old-school Nintendo console!) to Super Smash Bros. After the games, we caught the screening for Ouran High School Host Club and a little bit of the masquerade competition before we left. Overall, I had a pleasant experience. It wasn't as grand as Anime Expo, but I see the potential AM^2 possesses. And for being a free event, I can't really complain. As you can see, the website clearly showed that from June 15-30th, the price of an Exhibit Hall Only Pass was $20. (More than it cost a few years back, but that's inflation and the state of our economy for you. :T ) After some indecisiveness and semi-drama from my friends regarding AX, I decided to go with my cousin. We bought our passes online on the 30th and to our surprise, we were charged $25 instead of $20. I thought it must've been some sort of computer glitch so I called and emailed AX only to receive a reply saying that the webmaster has messed up the date and that the proper price for the 30th was $25. This didn't make sense to me! What I didn't understand was that even in the news release, it had stated that from June 15-30th, it was going to be $20! After talking to the registration supervisor at the convention and some more emails, I was able to get things straightened out and my $5 refunded, buy the entire process was very frustrating. Another thing that bothers me every year is the line for pre-registration badge pick-up. Notice that little box of light at the end of the tunnel? Yeah... the line winds back and forth several times from that point to the point where I took this picture. It's rather ridiculous how the line for pre-registration is always almost 20 times longer than the at-con registration line. Thankfully, it moves relatively quickly, but I just wish they had a more efficient method for badge pick-up. Waiting 20-30 minutes in a seemingly endless line is never fun. After my cousin and I picked up our badges and resolved the overcharge issue, we headed outside to check out some of the food trucks that had set up station in two nearby parking lots. I was craving a pita, but that truck wasn't open yet so I ordered the Buckwheat Noodle Combo with chicken skewers and rice punch from the Ahn Joo truck. I thought cold noodles would be good for such a hot summer day, but I didn't really like this dish. The sauce for the cold noodles was a bit too bitter for me and the chicken was dry. My favorite thing ended up being the rice punch. We wanted to bring our food inside the convention center so we could take advantage of the air conditioning, but right as we entered the building, we saw security directing everyone back out. It turns out, they were evacuating the entire Exhibit Hall! No one would tell us what was going on and when I tried to ask one of the workers, he just told me, "Keep moving!" How rude! I know he was just trying to get everyone out, but he could've been a little nicer about it. Since no one knew what was happening, people were just milling around, entering and leaving the lobby area. It wasn't til later that my cousin received a text from one of his friends telling us that we had been evacuated because there was a "suspicious" spill in the food court area. If the people in charge had just told us that at the beginning, we would've been more understanding and evacuated the area in a more orderly fashion. Speaking of the lobby, Toyota had two decorated Corollas on display. Hatsune Miku, a character from Vocaloid, is Toyota's new mascot. There was a photo area to take pictures with their Hatsune Miku models/cosplayers and if you filled out their survey, you got a free Hatsune Miku poster. No Anime Expo would be complete without cosplayers and although I've never cosplayed, it's interesting seeing some of the more intricate costumes. I was never big on photographing cosplayers, but this little girl was just TOO ADORABLE! It's Baby Chun-Li!! She's sooooooooooooo cute! She may very well be my favorite thing out of the entire convention this year. One thing that was different this year was that Pocky had a booth and was having a scavenger hunt. Hidden throughout the Exhibit Hall were 5 boxes of Pocky. Although they told you which booths they were located in, you still had to find it hidden amongst their merchandise. Once you found out which flavor was hidden in which booth, you had to fill out a form that got entered into a drawing with a prize of a giant Pocky display box. Armed with a little less than half a jar of peanut butter, marshmallows, and some Rice Krispies cereal on the verge of going stale, I decided to cook up some peanut butter rice krispie treats. I didn't want to make just any old, regular rice krispie treats though. I wanted to have some fun with it! Since I hadn't made these crispy morsels since elementary school, I thought I'd channel my inner child and make some of my favorite characters. DOMO-KUN: To make Domo-kun, I simply made rectangular rice krispie treats and covered them with melted chocolate. Once the chocolate hardened, I piped on red rectangles of decorating icing and let that dry for a bit. Afterward, I piped on some white decorating icing for the teeth. You can use a toothpick to make the teeth sharp, but I didn't feel like it. For the eyes, you can use dark chocolate chips or black decorating icing. HELLO KITTY'S TEDDY BEAR: My Hello Kitty onigiri mold came with a mold of her teddy bear friend. (Does anyone actually know his name?) I used the bear mold in the same way I used the Hello Kitty mold and just decorated his face with melted chocolate. 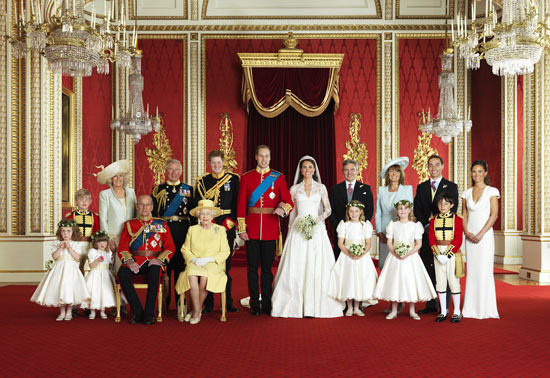 I was never big on the whole prince charming thing, but something about Will and Kate's royal romance seemed whimsical. (I know, I know... they're now supposed to be referred to as William and Catherine, Duke and Duchess of Cambridge, but that's much too long and proper.) But as I was saying... In this day and age where people are more concerned with Facebook status updates and the latest tweets, the royal wedding brought something classic back into our lives. Kate essentially lived every little girls' fantasy of finding her prince and having that fairy tale ending. Originally, I had no intention of staying up to watch the royal wedding (it was at 3am! 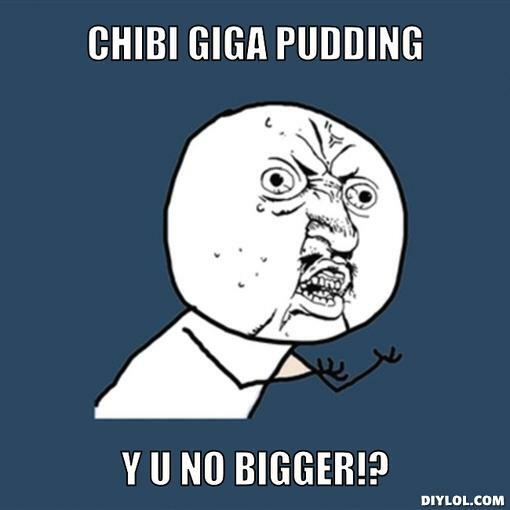 ), but curiosity got the best of me. I gasped along with the rest of the world when Kate stepped out of her car in her gorgeous wedding dress and chuckled when the newlyweds drove off in their Aston Martin - how "common" of them! While watching some of the royal wedding coverage, I discovered that the groom's cake was a Chocolate Biscuit Cake. It was one of the Queen's favorites and she and Will delighted in it when they had tea together when Will was growing up. Upon hearing this, I knew that this had "culinary adventure" written all over it! A bit discouraged and biscuit-less, I returned home and searched for an appropriate substitute for the allusive Rich Tea Biscuits. I found that people suggested digestive biscuits (another English cookie), graham crackers, animal crackers, shortbread cookies, Maria cookies, and even Nilla wafers. I wanted to stick as close to the actual recipe as possible and didn't want to eat chocolate-covered graham crackers so I put the whole Chocolate Biscuit Cake adventure on the back burner. That is... until I went grocery shopping at the 99 Ranch (an Asian supermarket)! Unexpected, I stumbled across McVitie's Digestive Biscuits! Of all places! An Asian supermarket! (Notice the Chinese on the packaging! I found that very amusing.) I was ecstatic! If I couldn't use McVitie's Rich Tea Biscuits, McVitie's Digestive Biscuits would be the next best thing. Here is how my Chocolate Biscuit Cake turned out! Aside from substituting Digestive Biscuits for the Rich Tea Biscuits, I omitted the raw egg and just added a bit more milk. People claimed that eating raw egg was fine, but the eggs in my fridge weren't freshly laid so I didn't want to risk it. Also, the original recipe was for a 6-in cake made with a cake ring, but I only had a 9-in cake pan so I made 1.5 times the recipe to accommodate for the larger pan size. To make the cake easier to remove from the pan, I lined the bottom with parchment paper. Taste-wise, it was very similar to the bottom half of a Twix bar. Throw in some caramel and I'm sure it would've been a Twix cake. My brother loved it and was sad when I told him I was bringing in the rest to work. The people at work raved about it and it was gone before anyone knew it! Just know that cutting the Chocolate Biscuit Cake was no easy task because the cake would crumble, but aside from that, the cake was delicious. All this talk of princes reminded me of this clever quote I heard growing up: "Someday your prince will come. Mine just took a wrong turn, got lost, and is too stubborn to ask for directions." Haha, I wonder how true this is... I do hope my "prince" is still on his way... But at least for Catherine, Duchess of Cambridge, her prince came and swept her off her feet. Congratulations to the royal couple and may married life be just as sweet as Chocolate Biscuit Cake! Dino's is one of those hidden LA gems that's famous for it's special half chicken deal. I say it is "hidden" because I never even knew this place existed up until a few weeks ago! I swear news of this place must spread solely through word of mouth, yet a ton of people know about it. 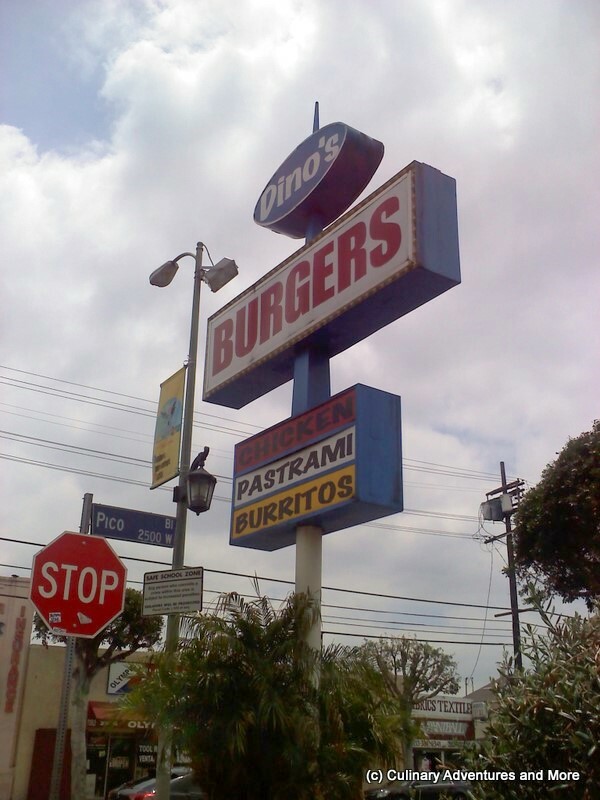 I first heard about Dino's from one of the accountants where I worked, who tried it for her birthday. About a week later, I was meeting up with my friend KW, who recently graduated. He LOVES Dino's so we decided to head here for lunch and to catch up. Dino's is a rather inconspicuous, little shack with limited parking, but tons of patrons! There are several Dino's locations, but we went to the one on Pico. It was my first time trying Dino's so KW suggested getting the famous chicken box. 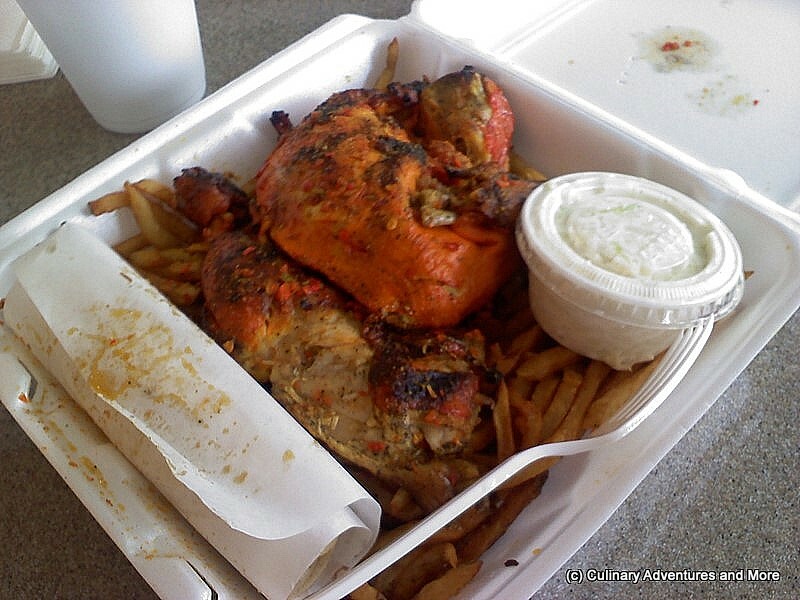 For only $5.50, you get half a chicken marinated in a spicy, citrus-y sauce, french fries, cole slaw, and tortillas. If you've got a small stomach, you should split this meal with someone or you'll have to deal with leftovers. The chicken I got was a bit on the dry side, but I liked the marinade. By far, my favorite thing was the french fries, which just soaked up all the yummy chicken juices! It was literally fried spicy, sour deliciousness that I couldn't stop eating even when I was stuffed! (I'm strange in the sense that I prefer those sad, soggy McDonald's fries so Dino's soaked fries were right up my alley! mMmm...) I'm not normally a cole slaw person and at first, I thought it seemed out of place in the meal, but I was WRONG! The sweetness in the cole slaw complemented the spicy sourness of the chicken and fries so well! These Dino's fellows know what they're doing! I just wish my chicken was more moist. My friend said his chicken was pretty moist so maybe I just got a fluke one. :( In any case, I liked the fries enough to go here again!